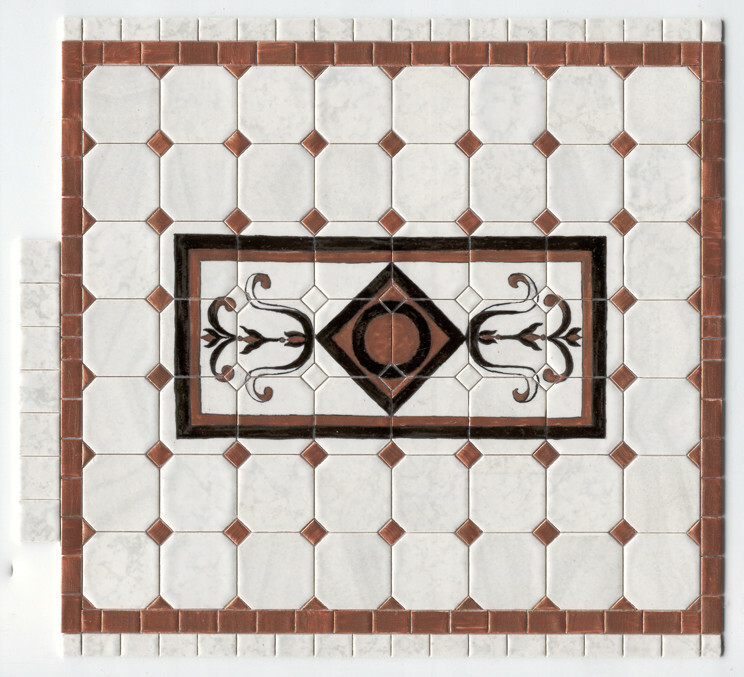 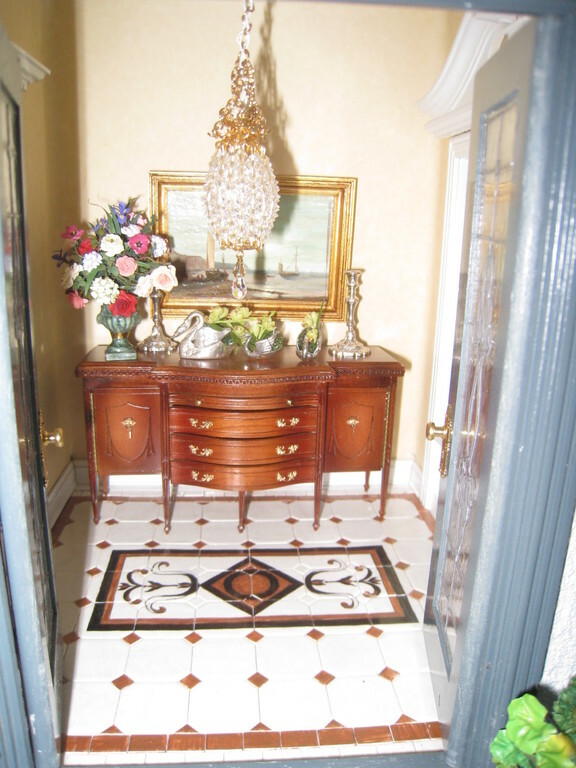 Pattern Castle: These gorgeous entrance rooms are tiled with marble tiles. 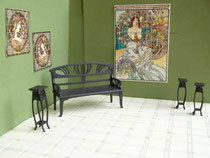 They are combiend with with inlays and rim tiles covered with bronce. The central piece of one room is hand painted. 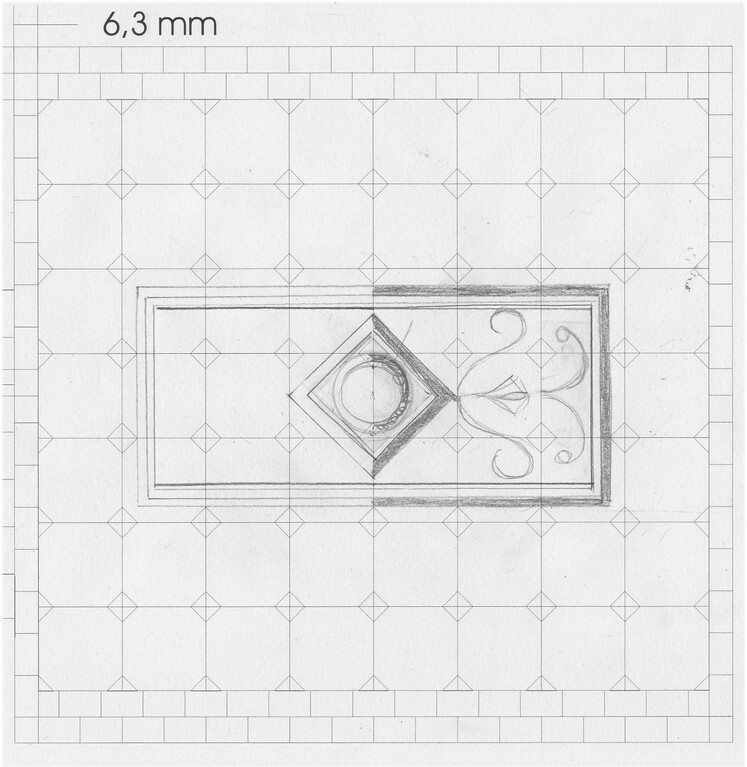 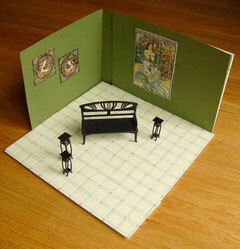 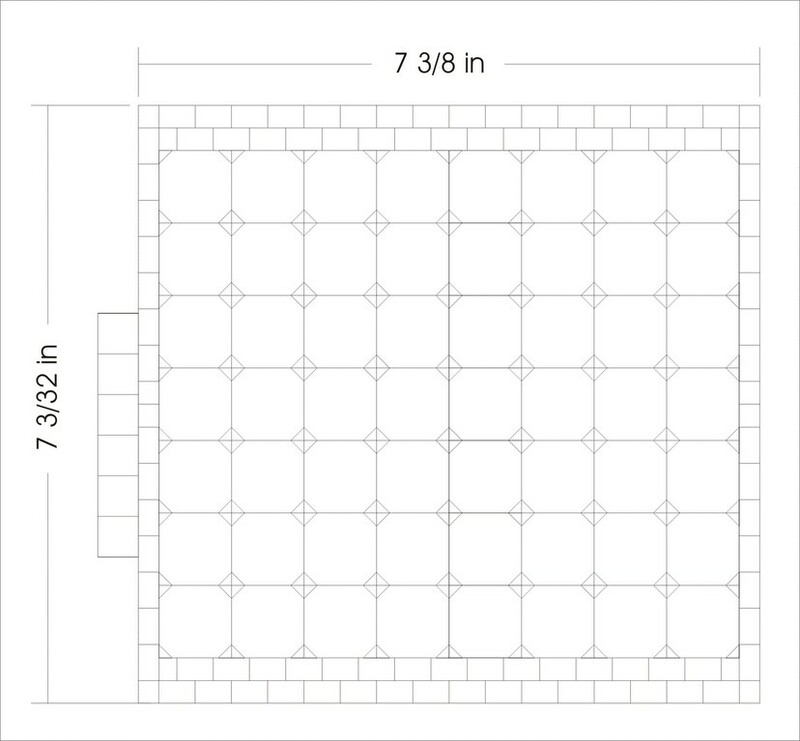 Pattern Castle: This is an floor for an entrance room with a small side room. 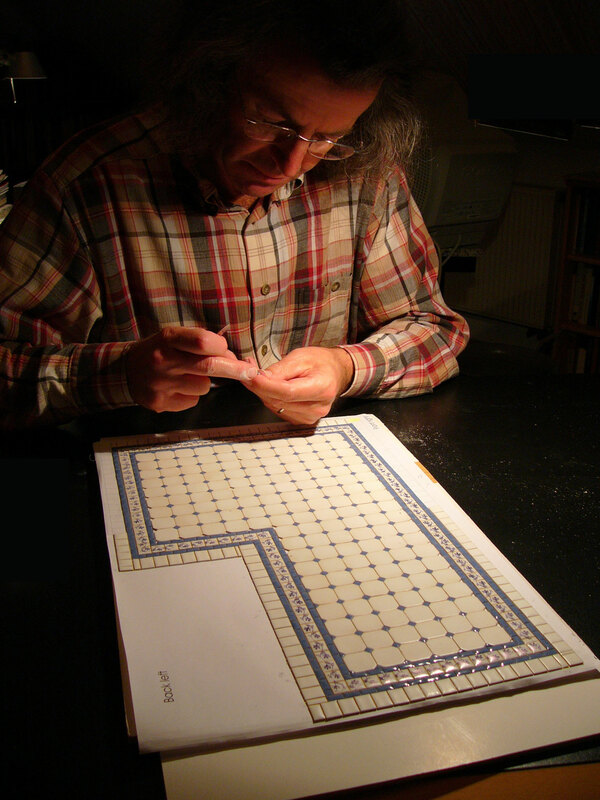 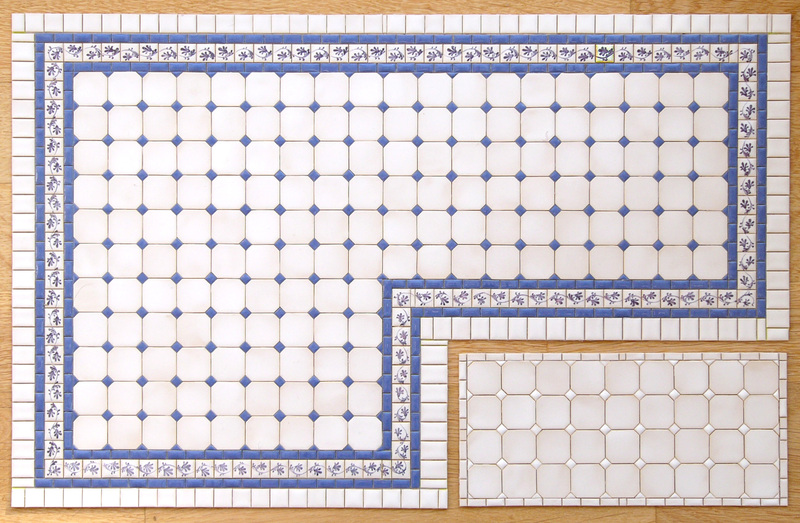 Pattern "Castle" was applied, surrounded by a handpainted blue border and blue tiles. Normally we supply the layout and the tiles. 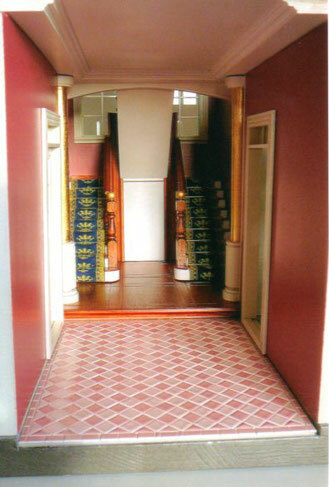 In this case we were asked to do the gluing for the client. The owner of this dollhouse likes us to make tiles for her entrance hall which fit in color to the color of the walls. 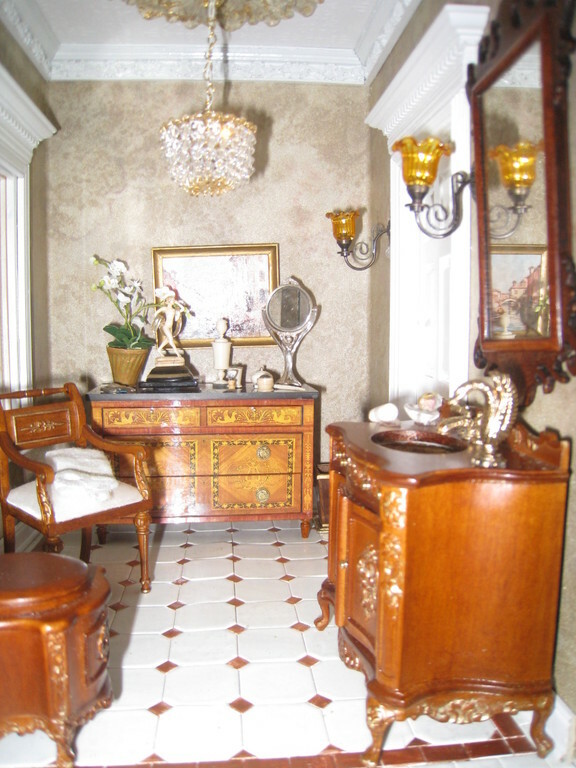 We made some color trials and got a light and dark rose which both go nicely with the walls. 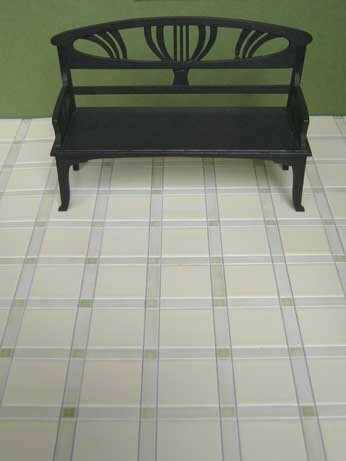 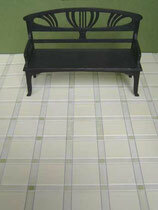 This diamond set checkerboard pattern makes the floor look classic and warm at the same time. 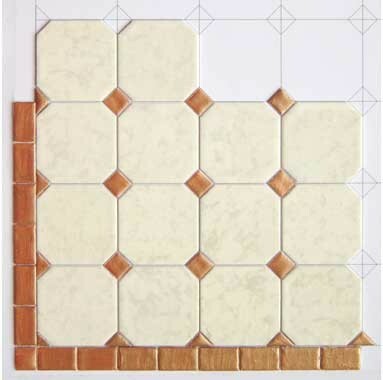 The mixture of double sizes silk matt tiles in vanilla colour with narrow glossy tiles in light green and quarter tiles in dark green. Pattern Checkerboard: We made this black and white floor for a large entrance hall. The centre out of glossy back and silk mat white tiles is surounded by a hand painted golden lace border. 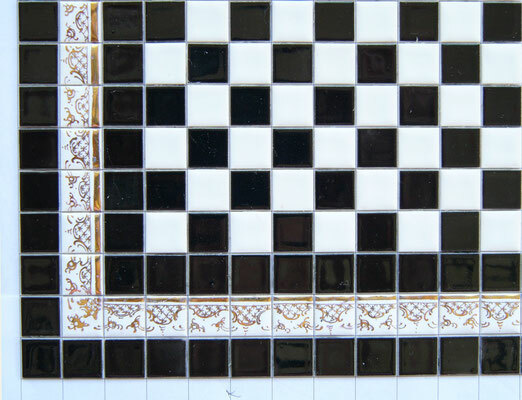 A very classic and elegant version.